Main purpose of this repoprt is to analysis Grameen Bank’s Role on Poverty Alleviation. The Grameen bank is often a specialized financial institution proven for providing credit on the rural poor for improving their economic conditions. It was started in 1976 as an action research project in a area near Chittagong University to try the hypothesis that in the event the poor are supplied with working capital they will generate productive self-employment with no external assistance. The literature on poverty today is quite voluminous. The contributors to this literature came from diverse disciplines including sociology, anthropology, education, political economy, geography, agronomy, biology, nutrition etc. However, its need to be mentioned that though mention of poor, poverty, charity etc can be seen in the writing of social and moral philosophers of pre and post reformation era, the scholars have directed their attention to poverty as a distinct area of enquiry only since late fiftees and early sixties of the century. The interest of scholars followed rather than preceded the interest of policy makers and lay public even though large scale poverty did not disappear from less developed counties or even developed countries after the years of great depression. The first systematic enquiry into people in want was possibly done by Charles Booth in 1886. He undertook house-to-house enquiry in the poorer district of London. His discourse used two terminologies viz. poor and very poor. He described poor as those who struggle but are able to earn sufficiently regular income to obtain necessaries of life for making both ends meet. In contrast, the very poor cannot do so and live in a state of chronic want. Booth published his findings in two volumes on “Life and Labour of the People in London” in 1889 and 1891. Booth, it may be claimed invented what is today known poverty line and also Head count of Household in poverty through application of social survey method. He was followed by Seebohm Rowntree who in 1899 carried out a research to find out the extent of poverty in New York. The result of his research was published in 1901 and the study was entitled “Poverty: A study of Town life”. He is credited ascertaining precise levels of income according to size of family which need be spent on specified goods and services in order to get minimum but adequate quantum of food. Clothing and shelter so as to maintain physical efficiency. He introduced the term ‘primary poverty’ to indicate the level below this calculated income. This is akin of booths very poor. He also introduced the concept of ‘secondary poor’ which is akin to poor in Booth’s work. Rowntree’s survey pointed out two principal causes of variation in the incidence of poverty. The first is unforeseen interruptions in income due to ill-health, unemployment and death of principal wage earner. The second is foreseable lifecycle of individuals from childhood to post retirement and in this periods wants vary due to status of own and other dependents and thus the income level necessary to meet the basic want of the family. Seebohm Rowntree did continue with his work. In 1936 he repeated his social survey of York and the results were published in a volume entitled ‘Poverty and Progress’: A second survey of York in 1941 [Rowntree. S. (1941)]. The basic finding of the survey was that the poverty line income has increased not only in nominal terms but also in real terms to allow for ‘the rise in standards of nutrition’. In his first survey he found that 67% of the people in want were employed but was getting low wage. In his second survey this percentage dropped to 33% while the percentage of unemployed increased from 3 to 29. It may be recalled that the year of survey was conditioned by great depression [Rowntree. S. (1941)]. Poverty refers of forms of economic, social and psychological deprivation occurring among people or countries lacking sufficient ownership, control, or access to resources to maintain or provide individual or collective minimum levels of living. It is a condition where countries, families and or/individuals lack adequate access to or control of processes of resource accumulation and distribution. As a result, the ability to provide for minimum nutrition, health, shelter, education, security, leisure or other aspects of life is impaired. Poverty also represents an exclusionary relation denoting the state of being excluded from or denied access to package of resources. The resource package includes both technical resources and social networks necessary to maintain survival. Several approaches are followed to construct poverty line income or threshold income in the literature. But there is no unique ideal approach for construction of the same line. Different approaches can be criticized, visualized and defined from any angle depending on the critic’s perspective and purposes. The concept of poverty and the approach to measure it should be inconformity with the nature of the society in which it exists. However, the approaches may broadly be classified into two categories-one is subjective and the other is objective. Construction of poverty line by subjective approach involves the estimation from the individuals which they feel to be minimum to make their both ends meet. It is expected that everyone’s perception of the minimum will not be the same, particularly in a heterogeneous society. It varies with the variation of socio-economic status and other related factors of the individual. The higher the income levels, the higher will be their minimum requirement. The main problem is then, which of the minimum incomes should be accepted as the poverty line income. Due to this conceptual difficulty, this approach is considered to be unsatisfactory. Moreover, poverty line based on this approach cannot be readily compared between the two societies and even between two groups of people in the same society. In the objective approach, there are mainly three methods of measurement of poverty line income, viz, (i) income method (consumption-based), (ii) calorie-income graph method, and (iii) actual calorie intake method. The basic technique of income method involves calculating the amount of income deemed necessary by an individual or a household to purchases a predetermined minimum bundle of food items for fulfilling recommended daily calorie requirement and a minimum non-food essentials. Minimum income needed to meet the adequate calorie intakes and non-food essential can be calculated by taking the prices of those items and the resultant value is then considered as poverty line income. An individual or a household is considered as poor if he or it fails to meet the minimum requirement. This method has been widely used since the beginning of this century and followed by many social economists for measurement of poverty line. this method also enables us to compare various micro level results. It is less demanding of data collection. Another important advantage of this method is that the poverty line income can be adjusted over time with changes in relative prices of commodities [Rahman and haque(1988)]. Though this method seems to have wide acceptance, it is not free consumption price to be considered for costing are problems of considerable magnitude associated with this method. The second method involves deducing an income level from “calorie-income graph” at which calorie intake is just equal to recommended daily calorie requirement of an individual or a household. In this poverty line is estimated in terms of nutritional requirement alone, non-food essentials are not taken into consideration. A good deal of information of good items is needed for the estimation of poverty line income by this method. The estimated result obtained by this method is less amenable to comparison with various micro-level estimates of poverty line. The third method of poverty measurement involves calculating actual intake by an individual or a household. This method does not take into cognizance the question of ability to consume. As a result, if an individual or a household from a high income group consumes less food he could be treated as poor, while if an individual or a household from a low income group consume more. It could be considered as non-poor. Like the second method, it needs wide range of data of consumption and the estimate obtained by this method cannot be readily compared with micro-level results [Rahman and haque(1988)]. The choice of items to be imputed for estimating calorie intake is determined in an arbitrary manner and only food items are taken into account. Moreover, difficulties arise with respect to what are to be excluded. However, the latter two methods are used by the BBS to determine the official poverty line in Bangladesh. From the above discussion it is clear that whatever approaches or norms are adopted for defining the poverty level income, the outcome still remains arbitrary and hence is subject to some controversy and criticisms. The major goal of any developmental intervention in Bangladesh is alleviation of poverty. The economy of Bangladesh with a large and rapidly growing population and low per capita income reveals condition of abject poverty for the majority of people. The task of poverty alleviation with the ultimate aim of its eradication is a challenging one. The new born Bangladesh in 1971 found the economy wrecked and the infrastructure normally associated with nationhood non-existent. However, over the past several years, there have been positive changes. Between 1975-76 and 1991-93 food production almost doubled; life expectancy increased by 30% between 1970 and 1996 and mortality rate decreased by55% between 1960 and 1996. Bangladesh has also achieved impressive result in many other fields. Immunization coverage reached over 70% in the early 1990’s from a low 2% in 1985, although recently it has started to decline .the contraceptive prevalence rate (CPR) has risen to over 50% from under 10% in the mid-1970s and total fertility rate has declined from over 6 in the 1970’s to 3.3 in late 1990’s.net enrolment in primary school has risen to 77% and gender gap has all but disappeared. In terms of poverty alleviation government and Non-Government Organization (NGO’s) have made significant progress; micro credit program now serve over eight million poor households. Based on the direct calorie intake method the percentage of poor households has declined from 63 in 1983-84 to 47 in 1995-96.despite this impressive strides Bangladesh remains one of the world’s poorest nations. In the World Bank new system of measuring the wealth of nations (PPP) Bangladesh ranks 18th from the bottom among 123 countries, per capita income has grown but at very slow rate of only $380 and people below poverty line53%. In Bangladesh the constitutional responsibility for development of the country rests with the government. However, it has not always performed its role to its full potentiality. This is particularly true in the area of poverty alleviation. The history of poverty alleviation effort in Bangladesh dates back to early days of Pakistan in1950’s. When program such as the ‘green revolution’ and the establishment of the Bangladesh Academy of Rural Development (BARD) in Comilla were initiated. However, such effort did not make any significant dent on poverty situation. All poverty alleviation efforts have been singularly concerned with the poor over time. The dynamic process of impoverisation is more than caring for the poor. These are the movement across the poverty lines (BIDS: 1996). In fact, relatively more people moved into the extreme poverty level from above than from the latter group, apperantly resulting in polarization of the non-poor in the rural areas. The major causes of poverty in Bangladesh are low economic growth, inequitable distribution of income, unequal distribution of productive assets , unemployment and underemployment, high rate of population growth, low level of human resource development natural disasters. Low Economic Growth: High growth rate is conducive to efficiency and poverty alleviation, as is evident from the experience of the high performing Asian economics, which have consistently achieved annual growth rates of seven to eight percent. In contrast, during the past two decades, the Bangladesh economy has suffered from low GDP growth at 4 to 5 percent. The GNP per capita was estimated US$380 for 2002-03, which was amongst some of the lowest in the world. This was too low a growth to lift the population, particularly the poor, to a higher level of living. Growth, poverty, inequality are consequences of public policies. If growth is based on appropriate policies inclined toward poverty alleviation, it has the potential to reduce poverty. Participating and contributing to such development processes the poor may improve their situation. Inequitable Distribution of Income: The pattern of income distribution in the rural areas of Bangladesh reflects deteriorating economic situation of the poor. The income distribution pattern also indicates that major percentage of the income remaining to the rich people of the society. Unequal Distribution of Productive Assets: Since land constitutes one of the major determinants of rural income, unequal access to land is of particular relevance in analyzing rural poverty. BBS data indicate that less than one third of the farm households controlled more than two- third of the firm area, more than two thirds of the farm households controlled less than one third of the total firm area. One of the important reasons of rural poverty is landlessness. Household’s having 0.0-05 acres of land are considered landless. The vast number of landless households, presently more than 50%, is alarming. Unemployment And Under-Employment: Unemployment and under-employment are essentially at the root of all poverty. For formulation strategy for improving the situation for the poor an understanding about the employment and wage situation is necessary. Employment opportunities constitute a major factor in determining income status of a household. Average days of employment per household may be similar across income groups though they vary in terms of type of employment. High rate of population growth: the size of the population would not have been a major concern if sufficient development were achieved to improve the quality of life. But the slow growth of the economy in the past coupled with relatively high rate of population growth and high dependency ratio of population exerted a direct and negative pressure on the development and poverty alleviation. It can be said that whatever little progress was made in agriculture and national production in the past failed to effectively contribute to the well being of the people owing to a proportionately greater increase in population. Although the current growth rate is below 2 percent it is still high as there is lack of complementary resources with which the growing labor force can be utilized. Agriculture is the major source of employment in the rural areas. The prospect of absorption of the increasing number of labor force in crop agriculture by 2004 does not appear to be bright. Opinion prevails that even the most optimistic estimate of growth in the crop production can absorb only a quarter or half of the increasing number of labor force. Low Level Of Human Resource Development: It is now recognized that human resources development through education, better health and family welfare makes important contribution to poverty alleviation. Even with low caloric intake, the provision of these facilities can make the poor better off and facilities their graduation from poverty. Education is considered as the best investment in human resources development. In the budget 2002-03, allocation of resources in education & IT sector 15%.It is also realizable that low income countries get much higher rates of return by investing in education, family planning and welfare services contribute to decline in infant and maternal mortality, improve maternal and child health by allowing spacing of birth. Better sanitation and access to clean water reduce infection, boost nutritional status and contribute better health. Natural Disasters: Natural disasters like floods, cyclones and droughts aggravate poverty in two ways: through destruction of food stocks and whatever meager assets the households on the margin of poverty have and by making employment opportunities scarce. While natural disaster of a moderate proportion in limited areas tend to cause or aggravate, impoverishment, disaster of severe magnitude covering larger areas may cause famine. Furthermore, diseases, injuries and afflictions immediately after disaster drastically reduce the capacity of the poor to cope with adverse circumstances. The frequency and magnitude of natural disaster in Bangladesh have been more unfavorable to the economically disadvantaged than others. In the absence of safeguard against these sudden shocks, rural households above the threshold poverty line are prone to be pulled down and those who are already below it experience further slippage. Cyclone in Bangladesh is almost a regular feature. The entire coastal belt as well inland areas experienced cyclones, which often produced surges or high tidal waves causing severe loss of lives, standing crops and other properties. Access To Public Services: One of the major reasons of poverty is limited access to public services. There are a number of government agencies for service delivery at various tiers of administration and local government but in the absence of effective “clientele” organizations, this delivery structure has remained largely ineffective and inefficient. Through Annual Development program (ADP) & Bangladesh Rural Development Board (BRDB). We are now in a position to draw together the themes and judgements derived thus far in the report, focusing on the record of donor and government efforts to alleviate poverty in Bangladesh. In doing so, we have consciously sought to provide a ‘checklist’ of some of the main issues which must be addressed in any meaningful and sustained strategy to reduce the extent of poverty and later the social, institutional and political contexts which reinforce the processes of impoverishment/described previously in this report. Given the severity of the problem and some of the worsening trends, the record impacts, of both government policies and donor interventions, in relieving poverty in Bangladesh is clearly a disappointing one. Interventions which have been advanced as a means of combating poverty have, in practice, usually failed to recognize that poverty have, in practice, usually failed to recognize that poverty is grounded in a lack of access to resources, stemming in turn from the existing inequitable distribution of resources of all kinds, the resultant power structure, and institutional structures. Without tackling these issues, an increased supply of resources, in itself, will be of little help to the poor because the poor will not have access to them. So, when one considers the issue of economic growth, clearly one of the most important determinants of the country’s capacity to alleviate widespread poverty. Over each of the past three decades, aggregate GDP growth rates have been inadequate to allow for any substantial reduction in poverty. As a result, the vast majority of the rural poor have been in a ‘maintenance game’ while a small number have been fortunate to be a ‘growth game’. Much of the preceding analysis has documented a multiplicity of ways in which existing structures and dynamics in Bangladesh have worked to the relative detriment of the rural sector. Furthermore, far from offsetting this imbalance, a range of interventions, both in expenditures and other policy measures, have had the effect of worsening it. Both the government and outside donors have had a share in decisions that have led to the low proportion of development expenditure devoted specifically to the rural areas. However, best estimates suggest that a significantly smaller share of foreign aid has gone to agriculture, rural institutions, and water and flood control than is true of the total Bangladesh government budget. Little of the modest health and education budgets has been directed to rural needs, providing dramatic evidence of neglect of the rural poor. The same can be said sectors, like industry, which have received more funds. Rural industry has been underprivileged, cottage industry has been almost completely neglected, while inland fishing has been overlooked in favour of the more industrial marine fishery. Overall investment in Bangladesh agriculture has been inadequate, given its overwhelming importance in the total economy. Private long-term investment has generally remained minimal, unlike the situation in some other countries, where opportunities for profitable investment have been taken up, resulting in higher agricultural growth. The explanation is widely believed to lie in the continuing dominance of a ‘feudal’ and ‘semi-feudal’ agricultural structure in which the small farmers has no capacity for such investment, sharecroppers have no motivation, and large and/or absentee landowners have no interest. Understanding the behaviour of the latter group is particularly important, because it must include a recognition of their perceived interest, for a whole set of reasons, both in investing outside agriculture and/or in further land acquisition, and in maintaining traditional approaches and relationships in rural society rather than maximizing their income through agriculture. Little relief, in terms of general economic growth, employment creation or improvements for the poor, has been provided by non-farm activity. It is worth reiterating that the greatest possible impetus to this sector would be achieved through major increase in the productivity, incomes and buying power of small farmers. In fact, off-farm activities cannot be sustained without increased agricultural growth. Rural industry must be integrated to a greater extent with agricultural production, as well as supplying goods and services for expanding incomes and absorbing excess labour. There is an urgent need to make off-farm activities more than the holding operation they currently provide, by linking them to existing and potential market demand and being more attentive to price and quality in expanded marketing efforts. The role of rural industries deserves special attention. Recent policies have focused attention on the possibility of generating supplementary income for rural households through the reemergence of cottage units, but with limited effect to date. The principal problems of village industries seem to lie in the weakness of skills and technology, the lack of adequate credit, undefined market opportunities and inadequate organization. Except for a few supervised areas, rural industry organizations are rare. The capacity of unorganized procedures to market effectively is very limited. The government has failed to define any general policy for rural industries or to provide effective promotion and assistance. Without appropriate means to link production process with markets, the possibilities for realizing the potential for employment creation and poverty alleviation seems limited. The basic requirement, apart from stimulated demand through income growth, seems to be greater extension work to assist with technology, organization, marketing and finance. Human resources development, which extends beyond schooling, is an important prerequisite and complement to improved per capita productivity. If widespread, accessible and relevant to the rural poor, it could make a significant long-term contribution to alleviating poverty. Human resources development should encompass the traditional basic education of literacy and numeracy skills, life education such as health and nutrition training and skill formation linked to the employment needs of the rural sector. It must also be recognized that human resources development extends beyond the period of formal and vocational schooling and considers individuals as agents of change who can spur development themselves. Development plans are external interventions, which provide scarce resources to rural areas. The dependence of the rural elite on these resources, and their ability to capture most benefits deriving from such resources, perpetuates the impoverishment of the rural majority. While this inequity in access to and control of resources is generally true for the poor, it is most acute among poor women. Dominant classes seek to contain attempts at unification by poorer classes and by and large, attempts to organize the rural poor have been blocked through penetration and control by the rural power structure, often integrated with elites at the national and political levels. The government has moved to organize BSSs (cooperative of people without means) and MSSs (cooperatives of women). However, an assessment of these organizations shows a lack of dynamism and thus they may be defunct without outside influence. On similar lines, the poor have been organized into credit groups for productive activities by the Grameen Bank Project. Success has been widely claimed for the credit operation and the emerging confidence of the people involved. this success is largely due to intensive supervision and enforced discipline provided from outside. organization of the poor has also been promoted by some non-governmental organizations currently engaged in humanitarian work among women and the poor. There has been mixed success, again with intensive supervision, and protection from the rural power strcuture. Rural development has not received top priority in government development expenditures, and those programmes which have been rural in orientation have generally suffered from a lack of understanding of the impoverishment process. They have also been seriously hampered by inappropriate aid instruments. A better appreciation of the nature and causes of rural poverty would constitute the single most important first step to more effective aid, and a clear recognition of the resource-access roots of poverty and the pervasive structural obstacles to benefits for the poor do offer concrete tests for any programme or project being contemplated. it is also possible to identify serious limitations to development assistance as currently structured. Changes on these fronts would enhance the ability of committed donors to reach the rural poor. The foreign bias of foreign aid is obviously a major obstacle, though it is one, which could never be entirely removed. It is also one, which is often shared by Bangladesh officials whose exposure to the industrialized world, through education, travel and the media, may have convinced them that, ‘foreign’ is better. Yet foreign technology and foreign ‘experts’, while necessary in and appropriate to certain circumstances, are likely to better suited to urban development or modern agriculture, and more immediately accessible to the rich in Bangladesh. This influence has surely been at work in making modern industry, transportation and power favourite targets of development assistance. While infrastructure should not be avoided, it musty be properly integrated with the need for agricultural growth and access by the poor. The donor preference for new investments over recurrent costs, which is related to both the project approach and aid-tying, is another constraint. It has contributed to the ‘brick-and-mortar’ approach to rural health and education, and the neglect of staffing, drug supplies, and school materials. Both the foreign bias and the investment bias are reinforced by the disbursement pressure which so often characterizes aid programmes, and sometimes government ministries as well. It derives primarily from donor’s preference for projects over general balance of payments support, the government’s limited capacity to prepare and execute projects, and some donors’ reluctance to increase their administrative budgets, especially in the field. Hence, credit schemes may dispense with group formation, improving savings habits, skill training, and supervision, which would slow down disbursement and/or consume scarce administrative resources. Another implication is that large-scale initiatives are encouraged-large loans rather than small ones, deep tubewells rather than handpumps. Finally, donor preoccupations with certain kinds of accountability discourage innovation, or deviation from original plans, and favor projects with large farmers or established entrepreneurs where the risks are lower. Quantitative targets and physical infrastructure can become more important than the quality of service or type of beneficiary because they are more easily measured and verified. This is especially likely when responsibility resides at donor headquarters rather than at the post in Bangladesh. If the government and the donors are serious about the alleviation of rural poverty, more resources devoted to rural development would help. But more importantly, programmes and policies must be explicitly designed to ensure that new and existing resources get through to those who would not normally have access to them. While mush of the initiative must come from the government, donors could actively promote such an approach by demonstrating a greater appreciation of the underlying causes of rural poverty. However, their best intensions will be largely thwarted without more resource to local expertise, less tied aid, more local and recurrent cost financing, less emphasis on disbursment, more programme aid, less centralized decision-making and more appropriate accountability. Yunus recognized that rural women were particularly vulnerable because of their restricted access to and control over resources and the project which had begun lending to both and men women, moved gradually towards lending primarily women demonstrated that they invested more carefully and repaid more faithfully. Following the experience of high repayment rates, the project expanded over the next years into neighboring districts and in 1983 became established as a specialized financial institution under a separate government statute in 1983 with a mandate to lend to the poor. The Bank is governed by a 13-member board of whom 9 are Grameen bank borrowers and three are government appointment senior civil servants. Ninety two percent of Grameen Bank shares are held by members themselves while the rest rate are held by the government of Bangladesh. Funding for Grameen Bank has been primarily in the form of loans with more than three quarters coming from the Bangladesh central Bank and local commercial banks and the rest from international donors. Funding for the Grameen Bank had been at preferential rates in the past but since last few years. Grameen has borrowing from local money markets at commercial rates of interest. Grameen Bank charges interest rates close to those charged by commercial banks, which compare favourably with the usurious rates charged in the informal credit markets in rural areas. This has enabled the Bank to attain operational self sufficiency and a World Bank study published in 1995 shows that the Bank is moving towards full self sustainability. The Bank today lends to over two million borrowers. 94% of whom are women and with repayment rates as high as 98 percent. GB has shown that not only are the poor, particularly poor women, bankable but the lending to the poor can be far less risky than lending to the rich. The Grameen Bank has now become a model for group based lending to the poorest throughout the world. 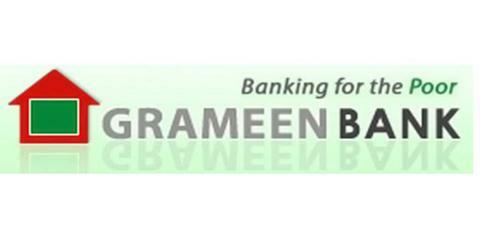 The Grameen Bank is organized at four administrative levels: the branch, the area, the zone and the head office. The lowest administrative unit is the branch, which employs a staff of ten people. Each branch serves approximately 50 to 60 groups of 30-40 borrowers. The branch is established in a rural area where surveys show are inhabited by large numbers of poor who fall within the target group. The branch is supervised by an area office which is staffed by six people. Each area office covers 10-15 branches. The area office in turn is supervised through 14 zonal offices. Each zonal office has a staff of 35. The branches maintain day to day contact with the clients and the area offices are directly managed by the 10 zonal offices. The zonal offices are independent to the point where even strategic decisions can be taken by them. Although a system has developed over the last two decades, at every level. Grameen Banks operates on the premise that it is a system that can continue to improve. For this reason, experimentation is encouraged at the zonal level without clearance at the Head Office. Staff are encouraged to ‘learn by doing’. They are encouraged to develop creative solutions and bring forward their own personal views and ideas and criticisms. Grameen Bank currently has a staff of over 12000 employees. All staff underfo an intensive 12 month long training program. The first six moth is the “induction training period” which is held at the head office at the completion of which the trainees sit for an examination to proceed to the second stage of their training during which is trainee is posted in a Grameen Bank branch during which time they assume responsibilities of a bank worker. The trainees become permanent employees after passing one more exam. This core training is supplemented by additional training in computerization, accounts, administration, leadership and crisis management. Grameen Bank has a comprehensive management information system, paper based at the field level and computerized at the central level. Through all levels of the management and personnel there is a flow of information and comprehensive data accumulation and report preparation reflects the Banks attempt to set in motion a learning process. Like the major credit delivery NGOs in Bangladesh, the Grameen Bank gathers socioeconomic data to monitor and evaluate the viability and impact of credit to the landless. The effectiveness of the Grameen system is attributed to a number of interrelated features. Grameen Bank targets a well defined homogeneous clientele. This is the large and fast growing population of landless rural poor. Where landless of defines as some from a household that owns less than 0.5 acres of evaluate land or assets with a value equipment to less than 1.0 acre of medium quality land. Grameen Bank borrowers are expected to the select from among their peer group to form a group of five women. This self selection screens out the non poor and those persons that would not be able to make loan repayments. The Grameen system operates in a social milieu where women are willing and able to pressure one another to repay loans. Woman who doubt that they will be able to make timely payments and otherwise comply with the rules and requirements of Grameen Bank are reluctant to join. The small size of loans and the identification of the Bank with the poorest, discourage women from weather families from joining. As members of GB are expected to deviate from traditional norms, attending weekly meetings in public places and interacting with male staff, the system ensures that those who have nothing to lose are those who join. Before the group is recognized by the Bank, the members go through a seven day long training during which they learn the rules and regulations of the program, learn to sign their names and learn the sixteen decisions. The groups of five are organized into centers with each center consisting of six to eight groups. Each elects a group chairman and group secretary who are responsible for ensuring attendance at center meetings and maintaining discipline during the meeting. Members are eligible for a range of different loans. In the first year, members receive the general loan which has a repayment period of one year and ranges from US$ 75 to US$ 100. The loans are disbursed the two neediest members of the group who must repay on schedule before the two receive the loan with the Group Chairman of the group receiving the last loan. The borrowers who are awaiting loans will try to ensure that repayments are made on time. A borrower will make a loan proposal to the Bank. The loan can be used for any income generating activity chosen by borrower herself but approved by the group members and the center chief. The loans are repaid in 50 equal installments and the interest payments is 10 percent of each principal installment. The small installments make it easier for borrowers to pay. When a loan is repaid in full, the borrower will be entitled to another often larger loan. This works as an incentive for borrowers to repay. If a borrower will fully defaults, her group members will pressure her to pay as they are liable for unpaid installments. Borrowers know each other and are in a position to ensure repayment. If a borrower are unable to repay, then the other borrowers will either provide the support by paying an installment for her. This system of joint liability and collective responsibility mechanisms contribute to high repayment rates. All borrowers are expected to save. Savings behavior begins during the training period when borrowers save one taka per week into a joint account. A compulsory deduction of 5% of the loan is made at the time of disbursement of the first loan for the group fund. The group fund also includes a personal savings deposit of 1 taka per weeks by each member. When the amount of savings deposited in a Group Fund reaches 600 taka, the group of five is obliged to purchase Grameen Bank shares in the amount of 500 taka at the rate of 100 taka each. Savings provide security against default, is an economic buffer for the most vulnerable clients and becomes a source of additional loans, for investment or consumption, the terms and conditions of which are determined by the group members themselves. Managing the group fund helps to create unity within the group and gives the members experience in the collection management of assets. In addition, borrowers are encouraged to make voluntary deposits into individuals accounts with Grameen Bank which provides interest at the rate of 8.5 percent per annum. Centers meet weekly and attendance by all members of the center is mandatory and yet another mechanism whereby individuals who lack the sincerity and discipline to repay their loans on schedule are excluded. All banking transactions take place during these meetings including collection at the loan repayments and savings. These transactions are conducted at the group meetings to ensure transparency. Access to bigger and different types of loans depends on timely repayment of the early loans and acts as an intensive to repay. In addition to the general loan, borrowers may apply for seasonal loans, housing loans, technology loans crop processing loans and other seasonal activities. Members are eligible for a range of different loans with varying rates of interest and varying repayment periods. The housing loan for example is a long term loan that requires weekly repayments over ten years at a rate of 8 percent per annum. The rules, rituals and procedures ten years at a rate of the Gramenn Bank appear to have multiple functions. They provide an efficient way to conduct financial transactions, provide a screening mechanism, inspire a sense of loyalty and responsibility to Grameen Bank, and promote self confidence among the female borrowers. The working style of Grameen Bank takes into account the characteristics, constraints and social norms of its clients. Financial transactions are conducted in the village rather than at the branch office, making it accessible to women, who rarely leave the village and who would most likely be intimidated by the atmosphere of a commercial bank. The rules and procedures are simple and readily understood by the clients and do not require that members be literate. The simplicity of the systems facilitates the self screening of potential participants to a large extent they know what they will be getting into. Living in small relatively traditional communities, the GB members and prospective members have access to the information needed to evaluate the credit worthiness of their neighbour. Grameen Bank is best known as an operating model of targeted, small scale rural credit. Grameen is also a model of an experimental learning organization. While its present experimental activities are not the focus of this research, it is important to establish that innovation and experimentation are continuous. Grameen is structured in a way that buffers the established credit activities from the uncertainties of new technologies and enterprises being tested other units of the Bank. Grameen’s basic model of small-scale credit has been fixed in its essentials since the mid-1980s. The methods of group organization and group collateral for lending were established through years of experimentation following from the initial effort in Jobra village in 1976. The model of targeted rural credit is now so sufficiently tested that it has been expanded horizontally at a rapid rate since 1983. The horizontal expansion is modular; new branches, areas and zones are opened following the established pattern. One long-time observer of Grameen compares its expansion pattern to that of MacDonald’s franchises. It is the management and organization of this basic lending and savings operation that is the focus of this study. Election and rotation of officers in the centers underlines the importance of the non-banking but social and empowerment aspects of the Grameen model. It is only after participating in the group and the center over time that members acquire the self-confidence and skills, or the awareness, to take on other actions. The very existence of an organized group and an organized center creates an institutional opportunity for other interventions. In 1984 a national workshop of 100 women center chiefs agreed to the Sixteen Decisions or resolutions on improved social practices to be implemented by all the members. The four principles of the Grameen Bank-Discipline Unity, Courage and Hard Work-we shall follow and advance in all walks of our lives. Prosperity we shall bring to our families. We shall not live in discipline houses. We shall repair our houses and work towards constructing new houses at the earliest. We shall grow vegetables all the year round. We shall eat plenty of them and sell the surplus. During the planting seasons we shall plant as many seed-lings as possible. We shall plan to keep our families small. We shall minimize our expenditures. We shall look after our health. We shall educate our children and ensure that they can earn to pay for their education. We shall always keep our children and the environment clean. We shall build and use pit-latrines. We shall drink tube-well water. If it is not available we shall boil water or use alum. We shall not take any dowry in our sons’ weddings; neither shall we give any dowry in our daughters’ wedding. We shall keep the center free the curse of dowry. We shall not practice child marriage. We shall not inflict any injustice on anyone, neither shall we allow anyone to do so. For higher income we shall collectively undertake bigger investments. We shall always be ready to help each other. If anyone is in difficulty, we shall all help them. If we come to know of any breach of discipline in ant center, we shall all go there and help restore discipline. We shall introduce physically exercise in all our centers. We shall take part in all social activities collectively. Prospective members study the Sixteen Decisions and are tested on them before being accepted as members. Most meetings begin and end with a Center Chief leading members in recitation of some of the sixteen decisions. Special social programs, designed by Grameen Bank and some times funded by outside donors, encourage or enable members to implement the Sixteen Decisions. Successful implementation of the Decisions will enable members and their families to be healthier, better educated and more productive, creating a stronger base for banking operations. The Decisions represent more a social awareness rather than the political consciousness-raising and mobilization that many non-government organizations believe must precede sustainable development for the very poor. One of the thrusts of the Bangladesh Government in development planning since the country’s independence has been to attain self sufficiency in food production to save the millions in hard-earned foreign currency spent on importing food grain. The role of the financial institutions, especially the rural branches of the Nationalized Commercial Banks (NCBs), the Bangladesh Krishi Bank (BKB) and the Rajshahi Krishi Unnayan Bank, have been very instrumental in achieving increased production and in developing the rural economy as a whole, But their contribution in dispensing credit for poverty alleviation has always been negligible in comparison to that of the NGOs in terms of coverage and outreach. High rate of recovery of credit ensured through close supervision of end-use. The recovery rate of loans disbursed by these agencies ranges from 95-99%. Credit preceded and followed by strict group discipline (regular weekly meetings, savings mobilization, repayment of weekly installments etc.) and motivation/training on various aspects of social discrimination, human development and functional literacy. Credit to cohesive groups preferred in contrast to the bank’s individual approach. Peer pressure, the main theme of the group approach, acts as a driving force in ensuring timely repayment of credit. Credit preceded by all skill development training, where necessary and followed by marketing support to the entrepreneurs-the banks make no such provisions. Credit linked to a goal-oriented savings program with a view to generating beneficiaries own investible fund, thereby gradually lessening their dependence on credit. Credit followed by Health and Sanitation program to improve the overall living conditions of the beneficiaries. Although the banks rural lending programs have concentrated mainly on financing crop production and long-term lending for irrigation equipment, they have also a number of programs targeted towards uplifting the economic condition of the rural poor. The paper aims to throw some light on the various poverty alleviation credit programs run by different banks: the programs implemented individually by the banks and issues and recommendations. The poverty alleviation credit programs run by the Swanirvar Bangladesh is the most widely-known poverty alleviation credit program in which all the banks are involved. It should be mentioned that the Swanirvar Credit Program is one of the oldest credit programs run in Bangladesh and it follows the same modality in respect of group formation and savings mobilization as the Grameen Bank. It is also noteworthy that the Swanirvar Credit Program was preceded by the “Dheki Loan Program” (Paddy Husking Credit Program) launched by all the banks at the instigation of the Bangladesh Bank in 1978. The banks is also handled the “Grameen bank Project” before it became an independent bank. So, the involvement of the banks in the Dheki Loan Program and the Grameen Bank Project may be considered an “ice breaking” experience for the banks in giving collateral-free credit to the landless people. The Swanirvar Program although running for more than a decade since 1978 has not reached the commendable level of the Grameen bank and other NGOs in respect of loan recovery for various reasons. Once reason might be the institutional weakness of the program. It should of course be noted in this connection that unlike the Grameen Bank and other NGO interventions the Swanirvar Program has very little support from donor agencies. Efforts have now been launched towards institutional strengthening of the program through the active collaboration of the banks involved-the NCBs and BKB/RAKUB. The program covers an areas of 1024 unions and more than 10,000 villages in 135 thana of 39 districts throughout the country with about 0.65 million borrower members. A sum of taka 137.10 crore has been disbursed through 700 bank branches. The bank’s figures for loans disbursed and recovered are shown in Annex 1.
the project was aimed at testing a model of linkage between the banks and self Help Groups (SHGs) with the active collaboration of other agencies (NGO and DAE). the target group comprised two group-marginal/landless farmers and small farmers. the project contracted a local NGO (RDRS) and the DAF to undertake the social mobilization part of the project of the project on behalf of the landless group and the small farmers group respectively. the donors provided training and other logistic support to the involved agencies. The Project ended on June 30, 1996 with a recovery rate of about 97% and the banks have accepted the outcome as a viable model replicable in other areas. The Rajshahi Krishi Unnayan Bank-one of the banks involved ¾ has already started replicating this model in Rajshahi area under its own initiative. The banks’ information on groups formed and loans disbursed under this project. MICROCREDIT:GRAMEEN BANK STRATEGY TO POVERTY ALLEVIATION. Grameen is both a bank and a poverty alleviation organization .the creation of the bank came after seven years of experimentation with an action research project intended to demonstrate that the poor can generate enough income from scale lending. So micro credit is the appropriate tool that generates income for rural people. Dr. Md. Yunus opined ‘micro credit is the vehicle which create self employment’. Grameen bank credit model assumes that very poor people in the rural areas already have the skills, but not the small amount of capital required to operate viable productive enterprises. Where existing banks are biased to the rich and literate and are institutionally based. Grameen Bank annual report list more than four hundred and fifty activities for which credit is extended. These activities are grouped by the Grameen Bank under five broad categories-agriculture and forestry, livestock and fisheries, processing and manufacturing, trading and shop keeping and other services. Beginning in 1982credit joint activities such as for purchasing of shallow, tube wells, power pumps, rice bullers, oil mills, leasing of land, ponds and markets etc. loan for collective enterprises expanded rapidly since 1983. The share of different sector of total loan disbursed in the year 2000. Grameen Bank basically non-crop agricultural and non-firm activities. Agriculture and forestry accounted for 21.5% and livestock& fisheries accounted for 32.8%. Grameen bank broadens its scope of investment for the rural people. Loanees change their shell from lower to higher level. It is Grameen bank policy to pick up & choose the landless women & provide loan to them .so micro credit is an efficacious instrument of poverty alleviation and has successfully implemented by Grameen bank. it can also be mentioned that Grameen bank concept of poverty alleviation developed in Bangladesh has been beneficially replicated in as many as 45 countries are following suit. The main vision of Grameen bank is to extent credit facilities to poor for creating opportunities for self – employment for the vast unutilized and underutilized manpower resources. To alleviate poverty, it is essential to reach the poor cordially, taking up of the extreme poor as its target. By targeting the extreme poor Grameen Bank trying to create self- employment and ultimately drives for the improvement in their economic condition. It is general apprehension that under the existing socio–economic condition it is difficult to reach the poor with resources for development, where micro credit proves an appropriate tool to develop the poor. Background: The major activities of Grameen bank scattered over the rural areas. First two days I have observed the total activities performed by the Grameen Bank Bhaberchar Gazaria branch such as credit disbursement procedure, center meeting etc .The study was carried out with help of sample survey and case study through participant observation, detailed interviews, life stories and group discussion .The branch headed by a branch manager. The branch manager and center manager first move around the villages to identify the prospective clientele by exploring the purpose and functions of the bank to the villages. To get credit the loanees must form a group of five like-minded persons with similar economic &social status. Each group elects its own chairman & secretary and must hold weekly meeting of the group .He is also responsible for the observance of the rules prescribed by the bank. Relatives of male or female member cannot form one group. All male group formed in a village constitute the village landless association. While the female group form the village women association. Loans are given to individuals or the group. The loanee alone is responsible for his or her loan. Although there exist informal interlocking responsibility among member of the group once a new group is formed it is kept under observation for a month to see if the members are conforming to the discipline of the bank. During this period the center managers teach them to put signature. After that observation period is over two members of the group are selection for taking loans .The loanee can use the credit in any productive activities of his or her choice. The loan is to be repaid in weekly installments of two percent of the loan amount .The loan utilization and repayment behavior of the first two loanee are observed for a month or two. Only when these members behave properly, the other members become eligible for receiving loans. Because of their restriction a lot of group pressure works to keep the records of individual members clean .The center manager plays an important role in forming the groups and disbursement of loans and collection repayments. S (he) attends the center meeting where the loan proposals of individual members are discussed. Once a loan proposal is accepted, center manager in weekly meeting disburses the credit. The center manager also collects the weekly installment of the repayment when he attends the weekly meeting of the center the loanee thus does not have to come to the bank branch. the center manager works as the contact person between him and the bank. A male center manager is responsible for serving about 250 members and female center manager for 150 member& transacting bank business with them. One of the conditions of the loan is that the group members save one Taka every week plus five percent of the finance, which is kept aside at the time of loan disbursement. The savings from the group fund from which the members could borrow at times of need, at term’s to be used for consumptions at Group fund loan can be seed for social ceremony so that the loanee does not have to make expenses out of his other capital. Group members do not have individual claim on the group fund. If s/he leaves in the group s/he cannot claim the money saved in the group fund on his account. mortgageand other small businesses etc. Branch administration:Strictly followed head office direction,less scope for manager’s personal judgement,communication through head office to branch both downward and upward.Every branch manager mendatorily prepare a proposed report for trheir branch.then head office decided the particular recommendation accepted or not. METHOD OF INVESTIGATION: The purpose of the study is to evaluate the credit operation and other progream of Grameen bank to assess itsrole on alleviate poverty. the study undertaken on the period April24,02 toJuly24,02.the data for the study have been collected through field surveys of Grameen bank loanees and personal observation of the indepth household from the randomly selected 3 centres of this branch.the bhaberchar-gazaria branch operated more than ten years and the centers that taken randomly also more than ten years old.the total number of member of the three centrs about120. but survey purpose all member belonging to the centers of the selected villages were interviewed through a structured questionnaire.the sample size consists of 30loanees.all the relevant data were collected through the personal interview with the loanees. emphasis was given tocompare the financial situation of the loanees premembership and postmembership.Following tables show the filtering of the data collection and analysis of the findings.tables are prepared according to the questionnaire sequence. There were no male loanee in the sample of 30.here married indicates this women have husband.so from the table it can be inferred that bank provide ‘Married’ category their maximum amount of loan .A study of Dr. Mubina khondoker also reveals the the same result. she mentioned that women usually face five forms of exclusion:self exclusion,peer-group exclusion,social exclusion,household exclusionand organizational exclusion.Self-exclusion indicates those women who decide not to take credit either because they do wish to take credit or they are not eligible .Peer-group exclusion exclusionmeans since all member are responsible for the repayment of other members,so people carefully select the members who have income flows or asset bases that ensure they have the ability to repay the loan.Social exclusion means poor people remain isolated and neglected in the society due to the socio-economic condition.house exclusion refers that women in that position remain secluded and isolated within their households to purda and religios restriction.Finallyorganisational exclusion exclusion indicates that staff of the organisation are inclined tolend money to those women whose house hold own close to more than 50 decimals of land. Most of the loanees in the sample falls 10years category. since I contact with them personally , it seems to me they are matured enough as a member ofGrameen Bank.they can express the whole process how to take loan and installments payment system.Beside this,10year membership means they were taken loan continually for ten years and loan amount also increased as they go next.As a result,majority of the members passes a stable situation. a) Housing: Since ihave observe d the loanees house,the value of the house ,cot and other furniture determined on a lump-sum basis. some of the houses were built by the loanees personalincome generating activity and some of the house were madeby thaking house loan from Grameen bank there are five houses were they build their house withou8t any direct help frogrameen bank.so ,ffro an average calculationit is appeared tha before member of Grameen bank 40% of the loanee had house on the defined value and after membershipthis percentage risesto aound90. b) Before membership 53of the total member were drunk pure water but after membership 100% .But 1005not only the Grameen bank effort,some other NGO’s ang other governmental activities were also involved. c) schooling:This criteria defines that children above 6 yers going to school or not. but there are some problem in evaluating this criteria.such as women who has adult children and now they are the incoming person of the family. In that case ,I have seen that any belong to this family goingto school or not. from the survey five members were falling this category.Before member of the Grameen bank, schooling rate was 60%but after membership of the Grameen bank it rises to72% .this increasing portion resulted in both effort of Grameen bank and government education program. d) sanitation: Grameen bank plays an active role in the hygienic sanitation program for the member.Grameen bank provide loan specifically to that purpose and monitor the actual useas of loan. sanitation conditition that defined by the Grameen bank,ihave seen that most of the members hve ensured this criteria. data shows that before membeaship 45% of the totalmember ensure sanitation but most of the cases unhygienic. after membership their consciousness about hygienic environment also increased.datda shows y\that at least75% of the member ensure hygienic sanitation level. e) clothing: Grameen bank mentioned that all the family members should have cloth that necessary to fulfill their needs.but it was difficult to explore this inside information in that case.For that reason ,a lot of time I have spent in their home and try to gueass their clothing pattern. since clothing pattern is a subjective matter, itr is difficult to express in numerical terms.past data placed in the table upon making discussion with them. f) food: this criteria mentioned that no food crisis for the members family ,when members were asked this question, most of them said that we had no problem and have no problem. but it seems to me members feel shame to answer this question.then I asked question indirectly beyond the questionnaire, discussion with the center manager and people other than member.from the informal interview ,it inferred to me that 20% of the members were unable to meet food supply to the family.but post Grameen bank member they change their lives by self-employment,acquisition of land and helping to other family member(s)by providing fully or partly the loan amount .data shows that at present thereis no food problemof the members family.it is also noticeable that 90% of the member always have food stock for 3-4 month which implies that if any natural catastrophic cause any problem,they will be able to overcome it at least in food. g) scope for additional income :additional ncome indicates that members are capable to earn more from the vegetable plantation specially in the members yeard.by these additional income help members to pay the installment money. I have observed the 30 member yeard and very much pleased to see their vegetable plantation. most of the member were habituated that type of plantation after entering into Grameen bank increased conciousness in that matter.some of the no place have no place in teir yeard in the said purpose. h) Health conciousness:this criteria defines that family members are health conscious and have the ability to meet the medical treatment fortunately the survey area located in the remote of the thana hospital.people of this locality get an extra benefit in their health treatment.since better health treatment and health conciousness related with the earning capacity ,Grameen bank provide this financial supportby creating purchasing power through micro financing.on the whole, it seems to methat alittle conciousness increases due to the Grameen bank activities.the data that I have collected member’s past condition about their conciousnessby discussing with them,anlysis with their financial conditon on that time. Overall50% of the people have no capacity to ensurenbetter treatment for the family members. Record of loan defaulter: from the branch financial and non- financial statement it can conclude that members have no default record (see appendix). Upon discussing with the member, they assured me confidently. Previous year statement of that branch also reflect default rate nil. Most of the member had no involvement in loan activities before membership, some member were involved loan activities with mahajon(landlord). After discussing with the member 10 indicators, another 7 questions left before them. Questions mostly qualitative in nature. Below sequentially analyzed the outcome related with the questions. a part of the total land owned through inheritance. due to growing industrial area, the value of the land changes dramatically past ten years to now. Members repay their loan under installment payment system. With the installment money loanee paid both principle and interest. When a loanee covers 50%of any loan s/he can apply for the next one and generally the higher amount. Now, the question arise, how loanee repay their installment, either income from investment or from the next loan since loanee take loan in a continuous process. Major part of the loanee answered me that they lend money and use this in the specific purpose but a few members told me that it depends on situation. But it seems to me, member always try to invest their lending in specific purposes. Another question related with their earning expectation. They replied me that they earned as they expected. About twenty-seven members requested to me to sanction them more credit. A member told me that she wants more loan for the purpose of purchasing computer and photocopier but Grameen Bank do not approved this type of loan. Roughly calculation of total assets and total liability after membership: Calculation made roughly on the questionnaire, since data acquired of their land, house, business, and forms of assets. So value of the asset ascertained on a lump- sum price other hand amount of liability determined accurately. Most of the cases show that amount of liability less than the asset value. The main purpose of that calculation to ascertain the net asset generated from the use of Grameen Bank credit. Some exceptions occurred where member involved newly. Poverty is a critical issue to analyze and draw a conclusion. Fifteen questions in a questionnaire difficult to cover all aspect of poverty alleviation .Due to paucity of resources and limitation of time, some data cannot analyze quantitatively. To understand poverty clearly, it is essential a close discussion with rural people. It needless to say, a four days tour can cover the realization of poverty situation. Because rural people feels secluded and isolated in expressing their family condition. For this reason, some of the findings concluded subjectively and findings of the other study reference. It is obvious from the findings that Grameen Bank plays an important role on poverty alleviation in the rural areas. This study mainly emphasis on the pre membership and post membership situation of members. There may be little misinterpretation in some cases. By comparing two perspectives, it can conclude that most of the criteria ensure positive impact. Some cases show a little impact. It is noticeable that Grameen Bank cannot solely assert the socio-economic change in my field of study. Because I mentioned it in the analysis part that this villages located in the side of Dhaka- Chittagong highway and emerging a newly industrialized area. Beside this, these villages also developed in infrastructure. On the whole I think that Grameen Bank bringing a fundamental changes in the lives of the women it serves, improving their self-perceptions, their positions within the family and community. The women go against traditional norms, meeting weekly in the public place, interacting with men outside the community. They become, in most cases for the first time in their lives involved in financial transaction and are encouraged and enabled to conduct independent economic activities and acquire assets in their own name. Some of the study analyzed the effect of Grameen Bank women’s contribution to family support and a composite empowerment. Finally, the greatest obstacle that Grameen faces in providing targeted credit for poverty alleviation is poverty itself. Economic stagnation in rural areas limits the potential for productive investments. Lack of other social services for the poor in areas leaves Grameen borrowers highly vulnerable to external shocks. Grameen continues to develop new initiatives to address these problems. These are funded separately from the credit program and could threaten the organization sustainability but the awareness has not led Grameen Bank to subordinate the goal of poverty alleviation to that of sustainability. Branch office should be well furnished compared to other financial institution located in the same area. Note that well-furnished office is recommended only those branches where poor people overcome poverty and they want more money and services. Bank should charge its credit policy after reaching a certain level. I think Grameen Bank is a “life-changing machine”, whose are poor people and outputs are the self-dependents. So, Grameen Bank needs to expand their loan policy for the matured member of Grameen Bank. Salary Structure: I am appreciated to see the workers of Grameen Bank of their tiresome duty. Most of them devoted deeply to the bank and can realize the poor. Some of them are frustrated about their remuneration structure. It seems to me remuneration structure below their working level. Employees are frustrated behind the reason that they cannot switch from Grameen Bank to other commercial bank in the experience of Grameen Bank. Because most of the people think that Grameen Bank is a NGO type organization. So experience from Grameen suitable for NGO’s operation. Accounting recording system in the branch completely manual. Books and files are in the shelves in a hotch-potch condition. Working paper and various files look very distress. For that reason I think Grameen Bank should take necessary steps to improve the solution. The Grameen bank is a specialized financial institution established for providing credit to the rural poor for improving their economic conditions. It was started in 1976 as an action research project in an area near Chittagong University to test the hypothesis that if the poor are supplied with working capital they can generate productive self-employment without any external assistance. The project was formally launched in Tangail & Chittagong districts in november1979 and was later extended to Dhaka, Rangpur and Patuakhali districts in 1982 with financial assistance from the International Fund for Agricultural Development (IFAD). By govt. order of September 1983, it was transformed into a specialized financial institution with a paid up capital Tk. 30 millions of which 40% share paid by the government, 40% paid by the loanees and 10%each by the BKB &Sonali Bank, largest nationalized commercial bank in the country. Any person belonging to household owning less than 0.5 acres of cultivable land or asset not exceeding the value of one-acre land is eligible for taking loans the bank. Poverty alleviation is not simply raising the incomes of the poor people, poverty alleviation also means the political and psychological changes that allow the poor people to participate. Poverty alleviation organization is the business of changing values, of changing culture. Susan Holcombe suggests that organization must start first with their own culture and the values of a poverty alleviation organization must be consistent with its vision. Poverty alleviation means facilitating the participation and empowerment of the poor. Whatever their status .On a philosophical plane, a belief in the potential of people is indivisible. On practical plane, valuing the potential contribution to staff, taking them seriously, in expanding the power of organization to perform in the grassroots. From the case study, Vaberchar-Gazaria branch, Grameen bank has made a positive contribution to poverty alleviation in the area of its operation. This is particularly impressive the backdrop of the disappointing experience of the past development efforts which failed to improve the condition of the rural poor. But the bank has so far covered only about 3-to4% of it target group household in the country. The question still remains whether it can be expanded to a wide enough scale to have a significant impact on alleviation of rural poverty nationally. But success of Grameen Bank has some doubters. Economists Melari S. Tammen suggest that Grameen’s success is overstated, using the criteria that costs cannot be recovered on a sustainable basis. Grameen Bank itself is not a self-sustaining but heavily dependent on foreign aid. She goes to suggest that accessible credit is not the answer to poverty, but reform in poverty rights, limited liability and easy licensing. Chowdhury and other asked the micro enterprises funded by Grameen capital have the capacity to sustain themselves and to expand. Most enterprises are low technology for which rate of return is limited. They also mentioned that gradually repeated loans for the same small-scale business could saturate the local market and reduce profits unless the general purchasing power of the people can be encouraged. On the whole Grameen Bank success at poverty alleviation interventions would seem to be an increase in income, increase in empowerment, ability to withstand disasters, on rural wage structure and on the status of woman in the family. At last, in the era of globalization, Dr. Md. Yunus said that poor must be ready to ride globalization. Globalization can help us to overcome poverty quickly. If we can prepare our poor to participate in the globalize market. Most important thing is the participation. That is proper strategy need to take to alleviate poverty to ensure their participation. Susan Holcombe suggests six commandments for poverty alleviation.